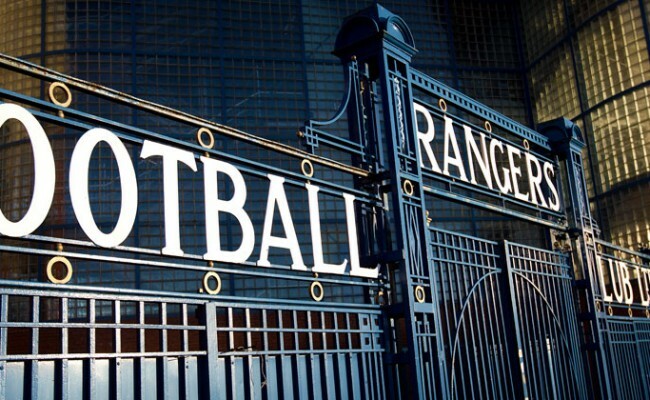 CIARAN DICKSON says Rangers young stars are loving the experiences of reaching cup finals at home and abroad as the under-18s sealed their place in the SFA Youth Cup final today. 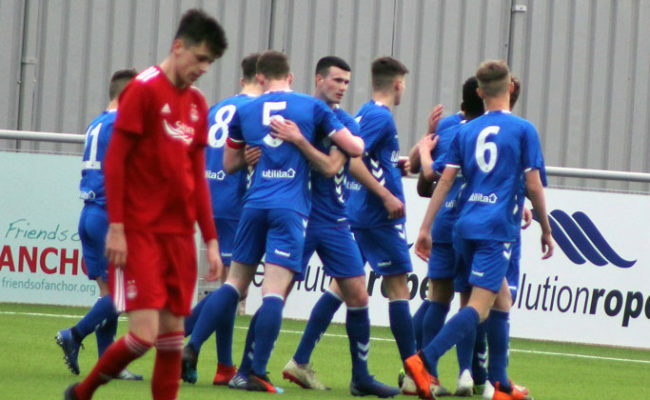 The young midfielder capped off a wonderful week by grabbing a goal in the 3-1 semi-final victory away to Aberdeen having scored in the victorious Al Kass Cup final in Qatar. 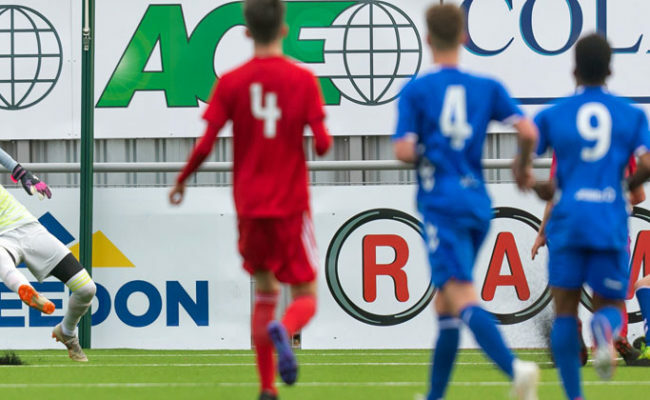 His goal cancelled out a 5th-minute opener from Aberdeen’s Connor Barron in the tie at the Balmoral Stadium before goals from Josh McPake and fellow Qatari tournament hero Nathan Young-Coombes completed a comfortable cup performance and victory. And Dickson spoke in the aftermath of the game expressing his satisfaction at the team’s overall application to defeat the Dons. He said: “Yeah it’s quality. I think going a goal down the lads dug deep to come back, obviously. It was a good team performance overall and everyone dug deep as I say so everyone’s very happy in the changing room the now. Dickson is developing a habit for getting on the scoresheet in important cup matches in the blue of Rangers. 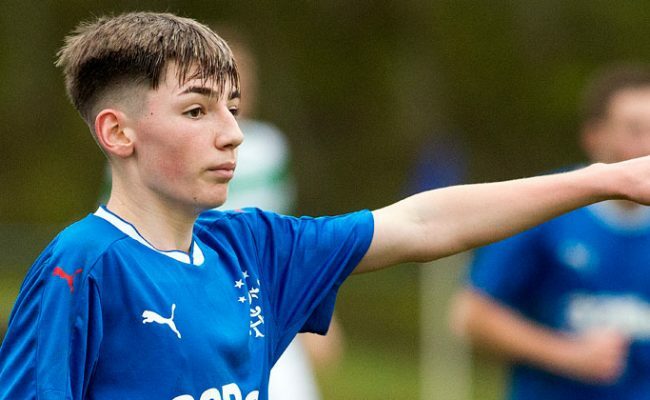 The attacking midfielder hit a double in last April’s 3-0 win over Celtic in the Glasgow Cup as well as grabbing the Gers’ only goal in the Al Kass Cup final against Roma – with the Under-17 Gers going on to win on penalties after a 1-1 draw in 90 minutes. Dickson, who signed his first professional deal at Ibrox last April, is hoping to impress coaches like Graeme Murty and Steven Gerrard to gain invaluable experience with the Reserves and through training time with the first-team. He reckons experiences like the Qatar tournament win and today’s semi-final triumph will stand him and his team-mates in very good stead going forward. “I’m buzzing with my performances recently so hopefully I can keep it up and push on still and get opportunities with the Reserves or going round with the first-team,” Dickson commented. “Hopefully I can get the opportunities. I think that’s what everyone looks forward to doing isn’t it? 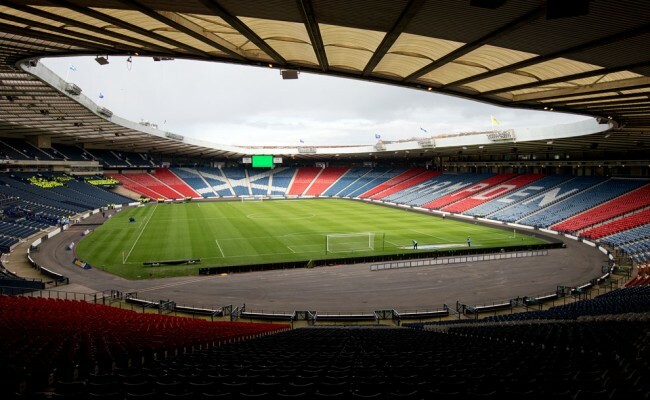 And there’s only one team Dickson is eyeing up in the SFA Youth Cup final at Hampden as Queen’s Park and Celtic go head-to-head in the other semi-final tie for the right to face Davie McCallum’s young Gers in Glasgow.